Made of quality weighted linen cotton fabric, fully-lined, non-sheer and non-stretchable. 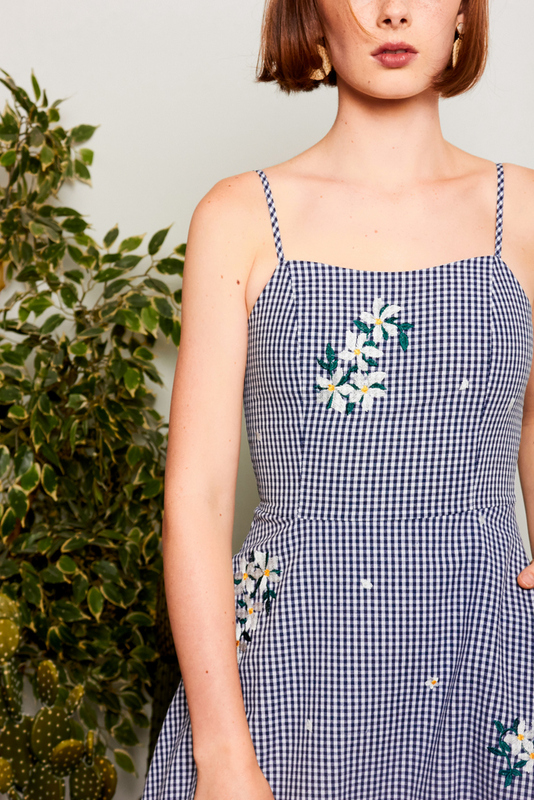 Features gingham floral embroidery prints, a square-neckline and has adjustable straps. Complete with a concealed back zip and comes with functional side pockets.